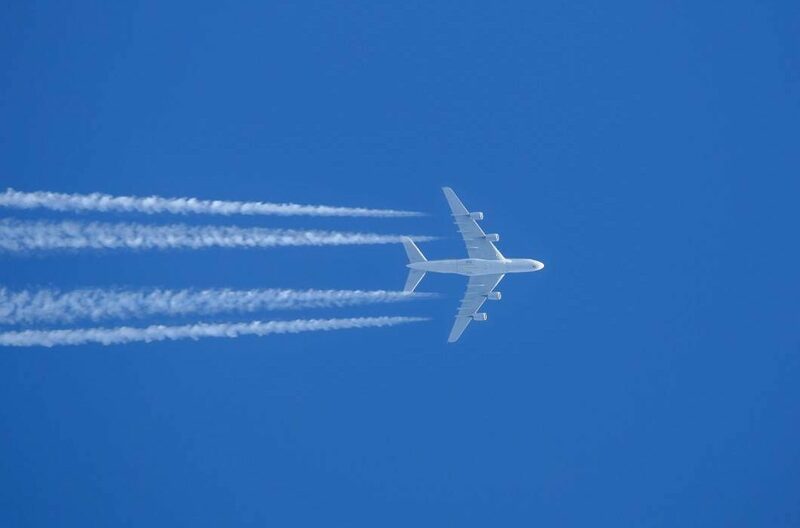 Carbon dioxide (CO2) and nitrogen oxides (NOx) emissions from the global aviation industry will increase by 21% and 16% respectively, until 2040, in comparison to the levels recorded in 2017, according to the annual report on environmental performance of the industry prepared by the European Environment Agency (EEA), the European Aviation Safety Agency (EASA), and Eurocontrol. Specifically, CO2 emissions reached 163 million tons in 2017, a figure that is 17% higher than that registered in 2005, and 10% higher than in 2015. In the baseline scenario included in the report, these emissions would grow to 198 million tons by 2040 (21% more than in 2017). However, in the most negative scenario (increased air traffic), CO2 emissions would reach 262 million tons (60% more), while in the less harmful scenario (reduced air traffic), they would be down to 134 million tons (18% less). At the same time, the aviation industry reported NOx emissions of 839 thousand tons in 2017, 25% more in comparison to 2005. The study estimates that, in a baseline scenario, NOx emissions could reach 972 thousand tons (16%more), while in the most negative scenario, emissions would increase by 54%, and decrease by 22% in the most positive one. According to the report prepared by the EEA, in 2016, the aviation industry was responsible for 3.6% of the greenhouse gas emissions of the EU, and that same year, it accounted for 13.4% of all emissions from the European transport industry. However, the report highlights that environmental efficiency of aviation industry continues to progress, and that further improvements are expected in this regard until 2040, which will lead to a 12% decrease in fuel used per passenger and kilometers traveled, and a 24% decrease in noise levels per flight. These improvements in efficiency will offset the expected increase in number of flights in the EU and the European Free Trade Association (EFTA). The report suggests that number of flights can grow by 42% in the coming decades, going from the 9.6 million registered in 2017, to 13.6 million by 2040. Regarding noise pollution, the study indicates that noise levels around airports are close to those reported in 2005, but they draw an upward trend since 2013. Specifically, the total noise levels in 2017 were 5% lower than the figures in 2005. According to the report, this suggests that new technologies have managed to offset the increase in the average size of aircrafts. In fact, between 2005 and 2017, the average noise level per flight dropped by 14%. In 2017, a total of 2.5 million people lived in the vicinities of one of the 47 most important airports in Europe, and they had to endure a noise level of more than 55 decibels: 12% more than in 2005, and 14% more than in 2014.